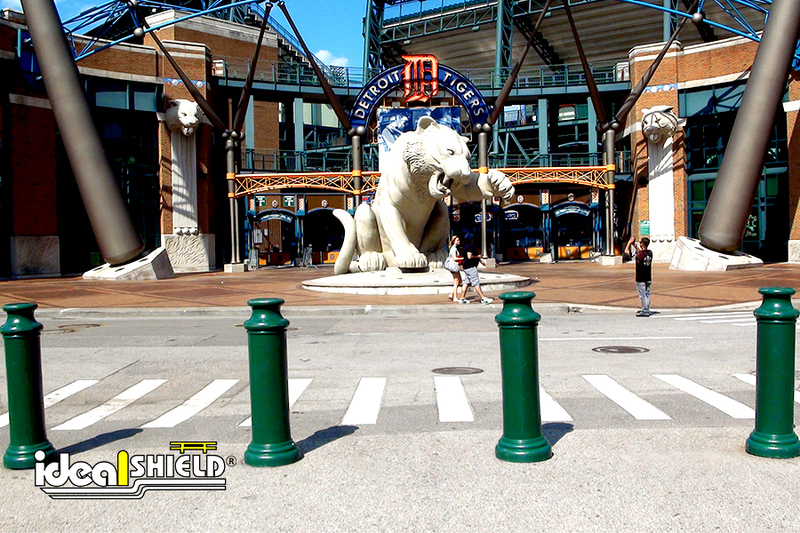 With the crisp fall air starting to roll into town, along comes the new sports seasons all around the country. 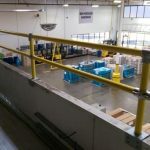 The MLB is nearing the playoffs, the MLS is off and running, both NFL and college football have already kicked off, and the NHL and NBA are preparing for their upcoming seasons. 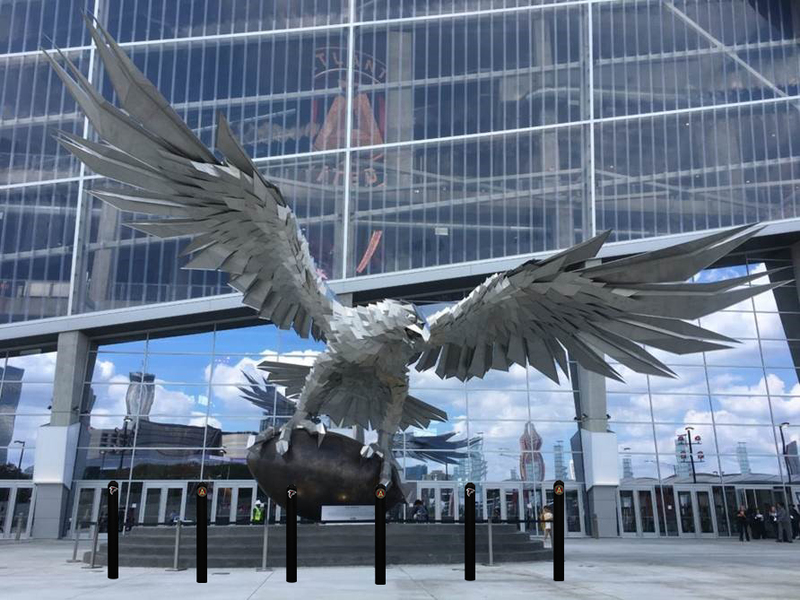 While the excitement is building, it’s time to start getting your buildings ready for the thousands of visitors that will be coming out to a game this year. 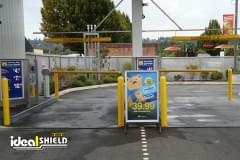 And there isn’t a better place to go for your stadium traffic solutions than right here at Ideal Shield. 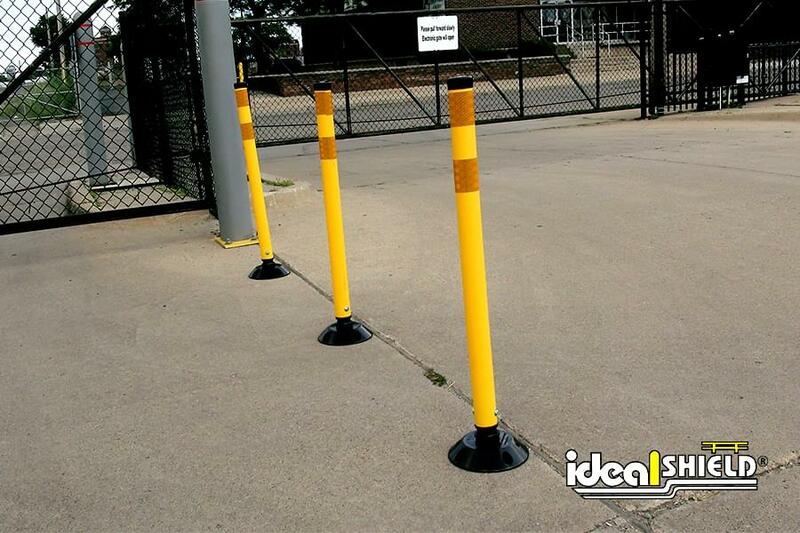 Looking to brand the protective bollards all around your stadium and/or athletic facilities? 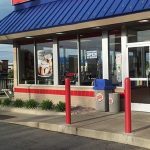 As the Original Bollard Cover company, we not only offer the highest quality bollard covers but we also offer the widest array of cover options. 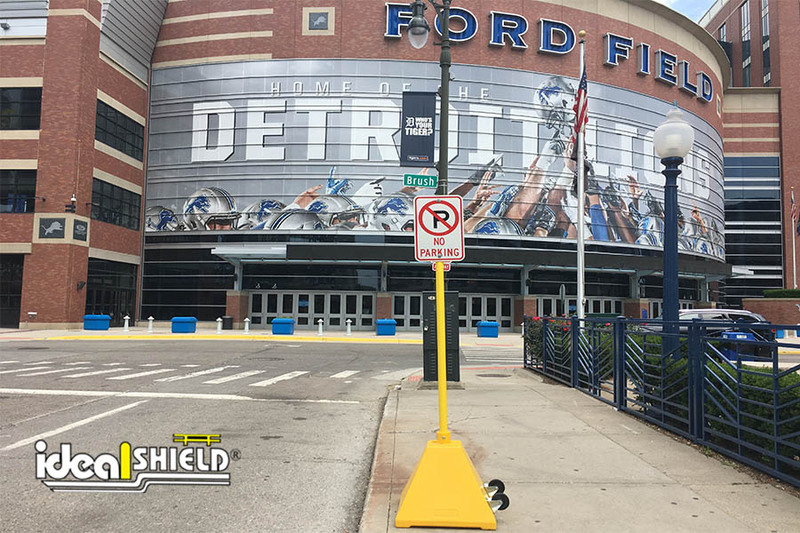 We have 13 different bollard cover styles, which includes everything from Standard Dome Top bumper post sleeves to Decorative Bollard Cover options to give your stadium a more unique look. 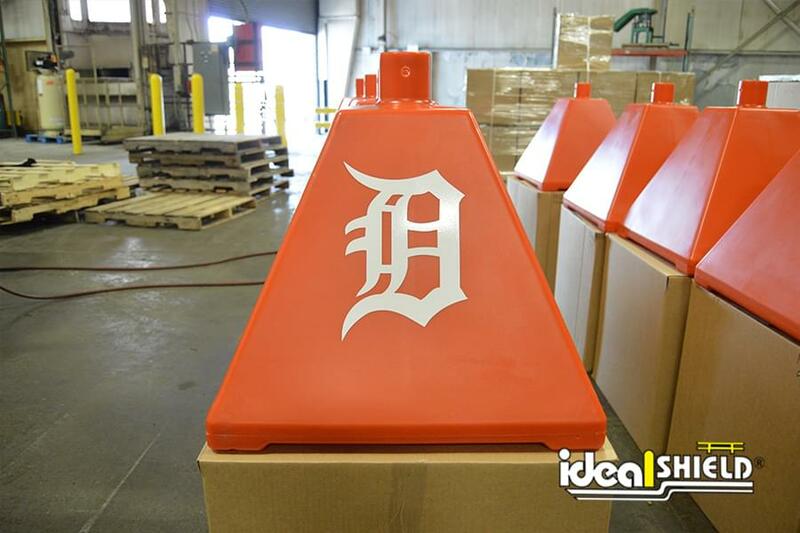 Any color or logo is available as well so you can match the bollards with the stadium or keep them on brand with the team’s logos or slogans. 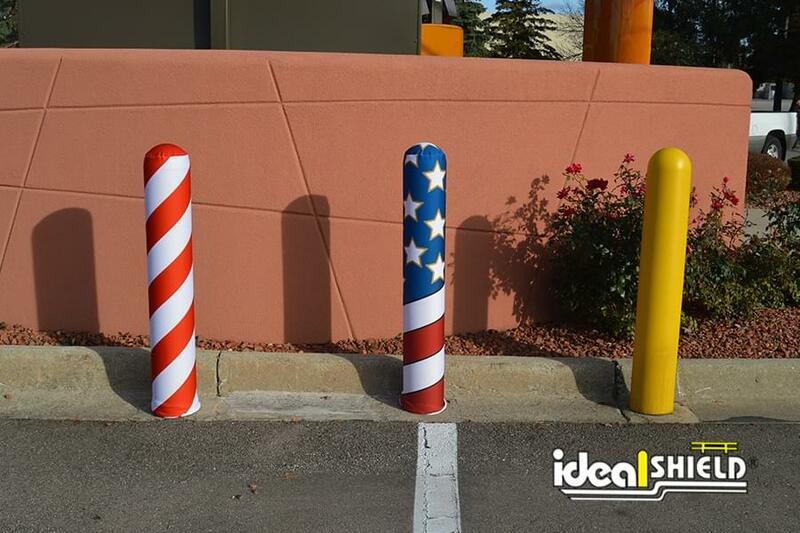 We also offer customizable AdShield fabric bollard covers, that are perfect for promotions, the holidays, and other special events. 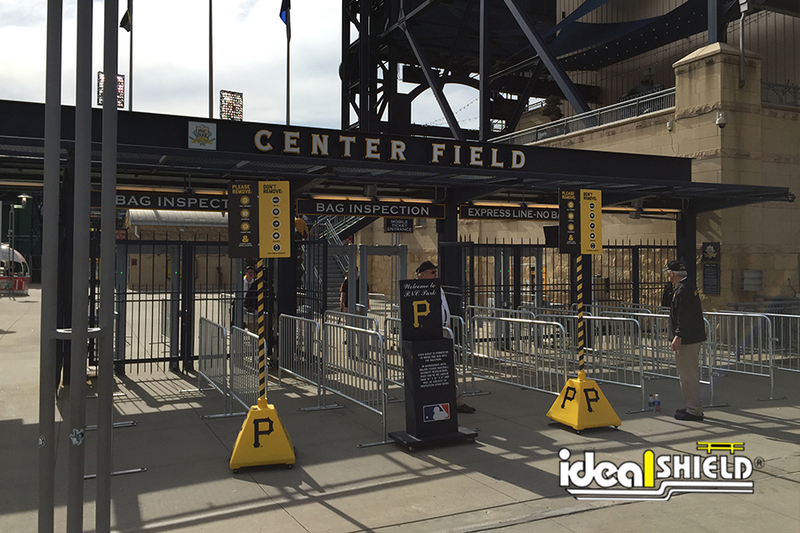 Looking to improve the vehicle and pedestrian signage around parking lots, entrance gates, and inside the stadium? 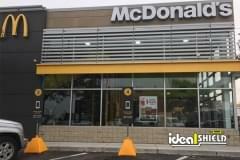 Our plastic Sign Bases are the latest craze in the signage industry. 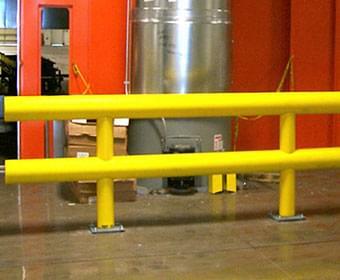 Easy to install, portable for employee usage, available in any color under the sun and with any decal or logo imaginable to increase brand recognition. 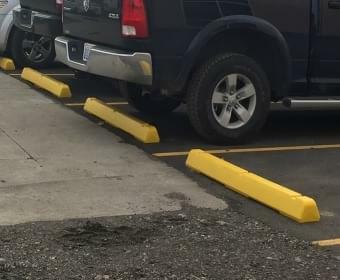 It’s the perfect solution for ticket entrances, parking lots, stadium streets, player entrances, and inside the stadium to direct foot traffic. 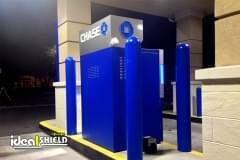 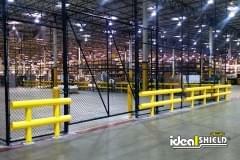 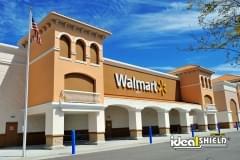 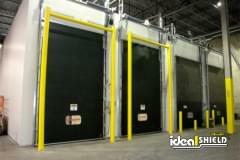 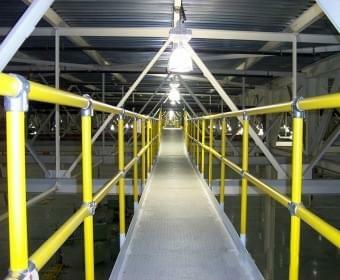 Looking to protect your parking structures and visitor’s vehicles? 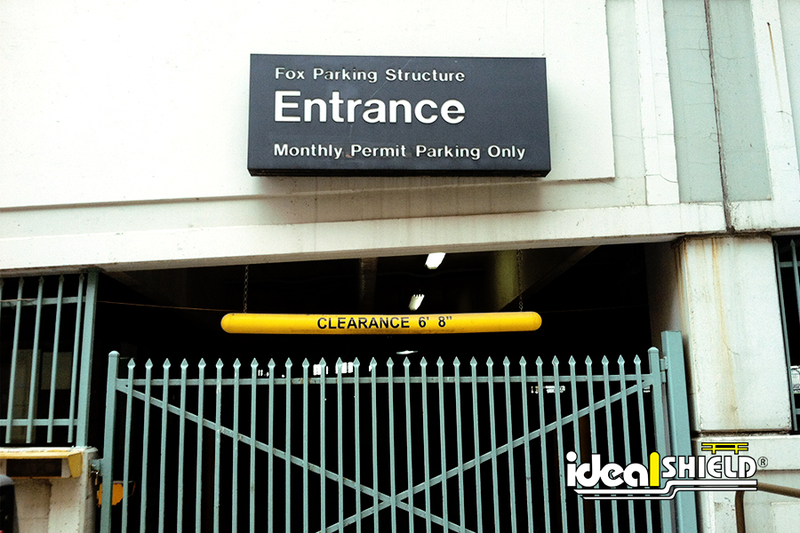 Parking structures and lots are critical for stadiums. 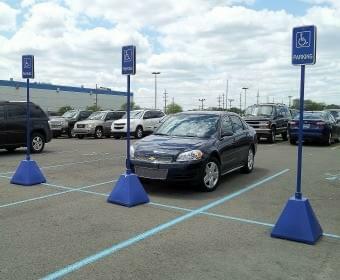 Thousands of vehicles and pedestrians looking for places to park, making their lives easier will make your lives easier. 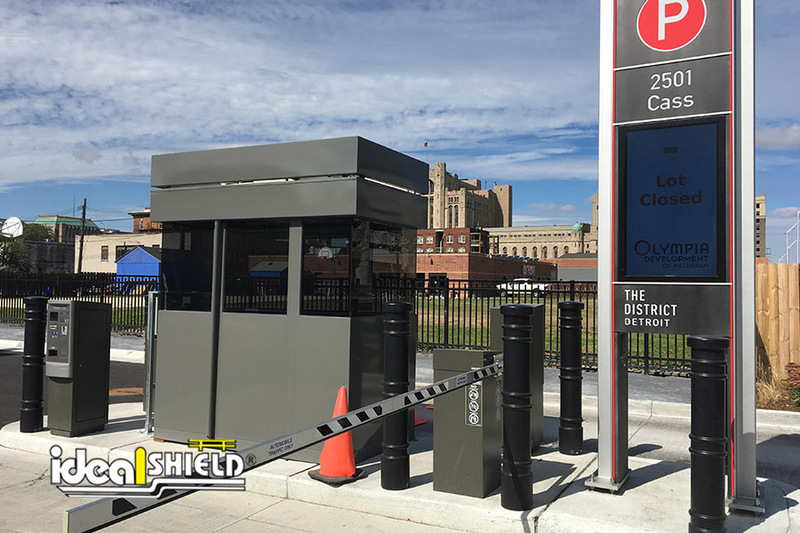 Whether it’s for structures, lots, or streets near the stadium, our Clearance Bars, Delineator Posts & Paddles, and Bollard Covers can be custom designed to fit branding needs while helping direct traffic near the arena or around town. 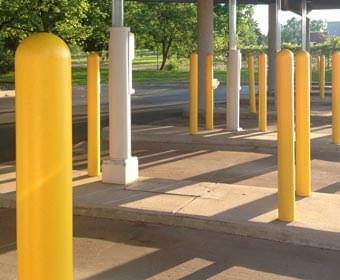 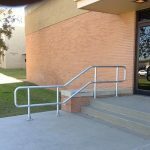 If you’re looking to step up your protection around the stadium, facilities, or parking structures, our Steel Pipe Bollards, Flexible Bollards, Removable Bollards, Collapsible Bollards, and several Handrail options would be fantastic additions. 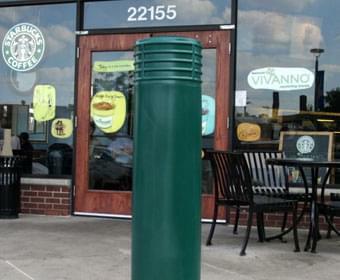 There aren’t many times of the year better than the fall when all of the major sports are back in action. 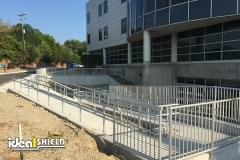 That means it’s time to start getting the stadium ready for visitors. 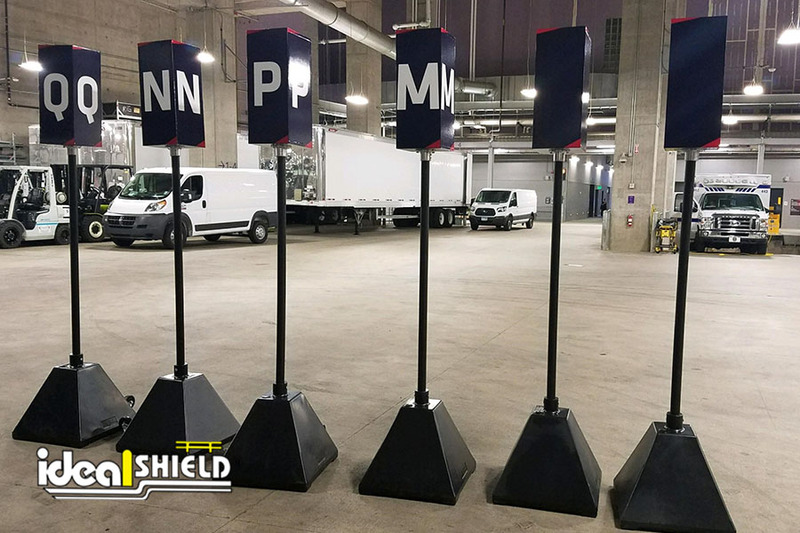 Contact us today at Ideal Shield for more information on all of our stadium traffic solutions and facility protection products.